At a meeting of the Christian Scientist Association in 1879, Mary Baker Eddy proposed a motion on which it was voted: “To organize a church designed to commemorate the word and works of our Master, which should reinstate primitive Christianity and its lost element of healing.” Just over a decade earlier in 1866 Mrs. Eddy had slipped and fallen on some ice and after examination, her doctors had pronounced her injuries fatal. 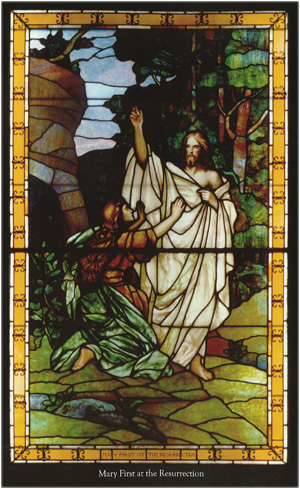 She asked to be given her Bible, and turned to Matthew to an account of one of Jesus’ healings. As she read, the words of Jesus, “I am the way the truth and the life: no man cometh unto the Father, but by me,” (John 14:6) flooded into her heart and thought. She was suddenly filled with the conviction that her life was in God – that God was the only Life, the only I AM. In that instant she was healed, through prayer, through spiritual means alone. The significance of this moment as the point of the discovery of Christian Science became clear to Mrs. Eddy only later. She concluded that she had to know how her healing had been accomplished. To find the answer she turned to her Bible. The purpose of this paper is to trace the path down which she was led to the discovery of Christian Science and, through deep study of the Bible, to an understanding of its practice, which enabled her to write the textbook, Science and Health with Key to the Scriptures. In tracing this path we shall rely heavily on what she wrote about her experiences. Rather than comprising a rigorous historical research document, this paper seeks to find Mrs. Eddy’s own leadership and guidance in her writings -to show us how she discovered Christian Science and learned its practice -so that if we wish, we too may follow in her footsteps. It may be helpful to note here that Mrs. Eddy’s most-used Bible was the “Common” or “Authorized” version, both terms used at that period to refer to the King James Version of the Bible. From early childhood, she was described as of frail health, with a delicate nervous system. Mary’s chronic ill health, which continued throughout the first half of her life until her discovery of Christian Science, was the driving force behind her medical researches and experiments. She married young but was widowed early, giving birth to a son soon after. Her continuing ill health made it very hard for her to care for her young son, and led to her family determining it would be better for her if he were cared for by another. He was taken away when he was seven and she didn’t see him for nearly 30 years. A second marriage, giving hope for regaining custody of her son, ended in divorce following her husband’s infidelity. Mrs. Eddy realized that Mind, or God, was the curative agent in her own healing. So she returned to the Bible to find the Science, or Christian method of her healing. 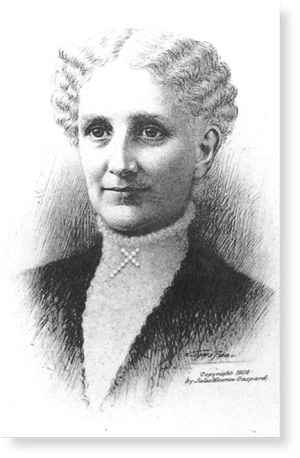 Mary Baker Eddy was fortunate in having a God-centered, Bible-centered childhood, but it was a childhood marred by ill health. Her frail health continued into young womanhood, through widowhood and a divorce, and was the reason she had to give up the care of her young son. Forced into a seemingly endless search for relief from physical ailments, she seemed to have exhausted both conventional and unconventional means for help. Then in February 1866, in a life-threatening situation her doctors told her they could help her no more, so she turned to her Bible, to God, and was healed. The next section “Gracious Preparation” examines the first five chapters of Science and Health for links to the Bible, and in so doing guides the student in his own glorious preparation for the understanding and demonstration of Christian Science.